Early October will become more dynamic across Europe with several systems affecting various parts of our continent through the week. First, a significant cold wave pushes across the west-central Europe into the Mediterranean between Monday and Wednesday, followed by a strong trough and another cold wave across eastern Europe and the Balkan peninsula from Wednesday until Friday. Over the weekend, another new trough will push into western Europe and bring unsettled conditions there, while an upper ridge establishes across the eastern Europe. Monday, October 1st – A strong ridge maintains over the northern Atlantic and results in a strong cold wave pushed from the Arctic region south into west-central Europe. Very cold airmass will spread into UK, France, Germany, northern Spain and the western Alps. A weak upper low/trough associated with the ex-medicane, will be gradually weakening while moving across western Turkey. Tuesday, October 2nd – An upper ridge over the northern Atlantic strengthens and expands into western Europe, resulting in cutting off the trough over the Alps. This develops a deep cold core into the northern Mediterranean region. Very cold airmass advection takes place around the Alps and locally some significant amounts of snow will fall, with near 10 °C colder airmass than average. 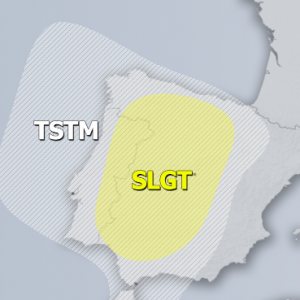 Warmer weather returns into western Europe while some refreshment comes also into the eastern Spain. A surface cyclone develops over the Ligurian sea. Wednesday, October 3rd – A strong upper ridge dominates western Europe and the northern Atlantic, partly also extending into central Europe. A deep upper low continues moving south towards the southern Mediterranean. 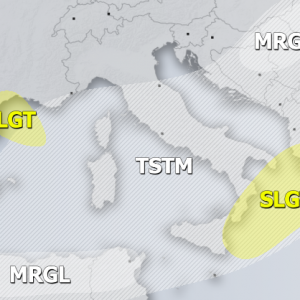 The surface low moves from the Ligurian into the Tyrrhenian sea and brings dynamic / stormy weather across the broad region. In the meantime, a deep trough is pushed across NE Europe with a cold front crossing the Baltic region. Thursday, October 4th – An upper ridge now dominates west-central Europe, while a deep trough enters the northern Atlantic. An upper low over the southern Mediterranean weakens. The deep trough over the NE Europe ejects into the western Russia. The associated cold front pushes across the eastern Europe into the Balkan peninsula and much colder airmass advection takes place behind the front. Friday, October 5th – A deep trough over the northern Atlantic pushes east into the northern Europe and partly also south into the eastern Atlantic, resulting in warm air advection ahead of it, from WSW into central Europe, bringing warmer air into the region. An upper ridge moves towards east and now covers eastern and central Europe. A weak upper low remains over the south-central Mediterranean. Saturday, October 6th – The eastern Atlantic trough pushes into the western Europe and bring very cold airmass behind the surface front, directly from the Arctic region. Ahead of it, warm advection spreads further north from central Europe, pushed also towards Poland and the Baltic region. 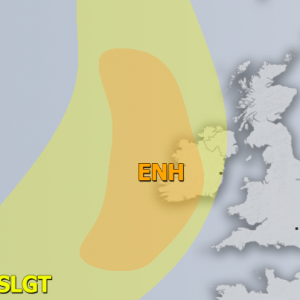 Sunday, October 7th – A deep trough over the western Europe could possibly cut off towards south and a baroclinic zone establishes towards the North sea – a deep cyclone could develop there. However, uncertainties are still high and it is impossible to give a more details at this time. We will be covering some of these potentially dangerous weather events, so stay tuned for further updates through this week.